Take a walk on the wild side with our 2XL Chestnut Australian Crocodile with a Snake Diamond Tie Back. The 3" brim give you plenty of shade and is shape-able for the style of your choosing.. 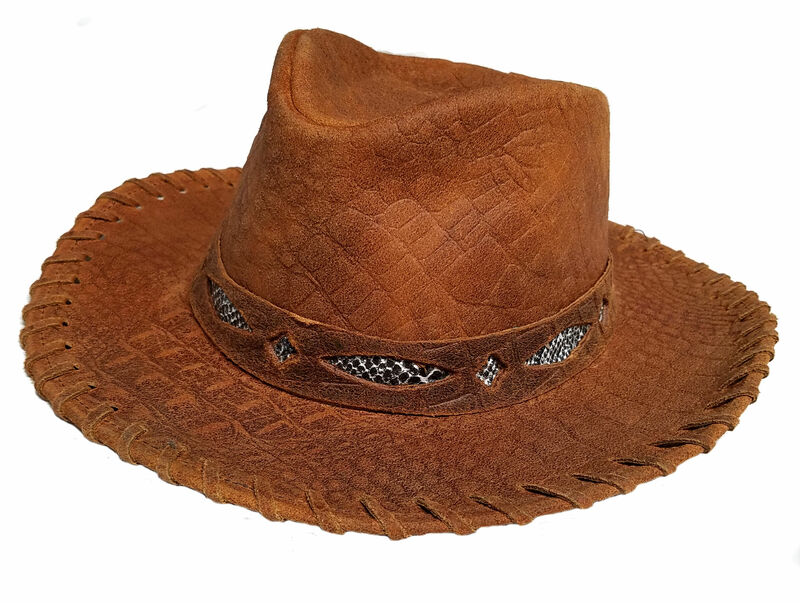 It is made of Cowhide leather textured for a great crocodile look. 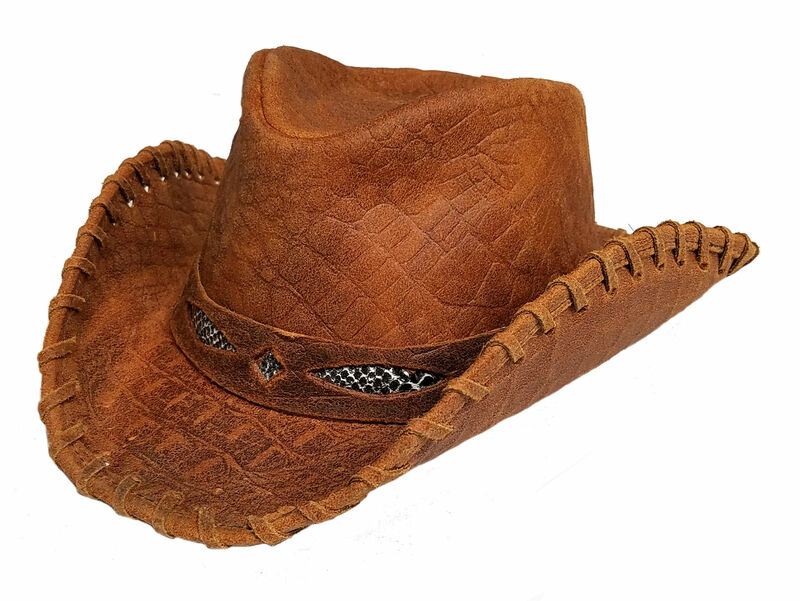 The snake skin peeking from the diamonds on the tie back and leather wrapped edge makes this hat bad to the bone.